What Myanmar Airport: Yangon or Mandalay? In reality, the country of Myanmar has three international gateways, not two. The country's newest airport stands in the brand-new capital Naypyidaw, right in the middle of nowhere as far as tourists are concerned. So for the purposes of this piece, let's assume only two options. Even for a country as sprawling as Myanmar, two is plenty. Mandalay International Airport is Myanmar's biggest, putting travelers closer to the country's most beloved tourist stops. Yangon International Airport, located far to the south, is older but has better international connections than its northern rival. As of writing time, none of these airports' routes connect to any destinations further than India or Qatar. From the U.S. or Europe, first-time travelers to Myanmar should schedule a layover at one of Southeast Asia's international hubs - say, Singapore's Changi Airport - before flying in. With that out of the way, which airport in Myanmar should you fly into? 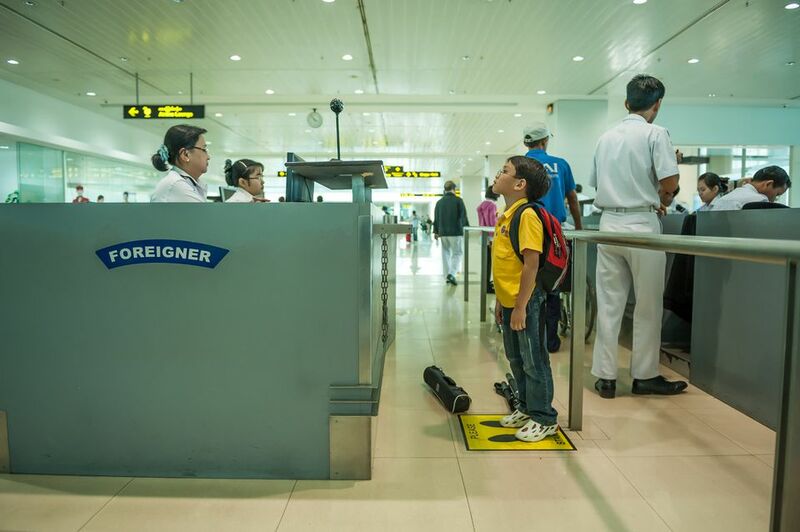 This writer flew into Yangon International Airport (RGN) for their first visit to Myanmar. You would, too, if your schedule required you to consider as many international flight options as possible. Yangon Airport is better connected to the rest of the world; this airport offers more international connections than the two other international airports combined, so Yangon visitors can take advantage of far more flight schedules via a larger choice of airlines. You can fly to Yangon from Bangkok's Suvarnabhumi Airport and Kuala Lumpur's KLIA - two of the most popular international gateways leading to Yangon - but you can also easily book flights to Yangon from Hong Kong, Seoul, Narita, and Doha. Yangon also offers better domestic connections to the rest of Myanmar, with a larger choice of direct flights to more Myanmar airports. Coupon taxis outside the Yangon Airport will charge you about MMK 8,000 to cross the nine miles south to Downtown Yangon. If they quote a higher price, you can try to dicker down. Most of Mandalay's most popular tourist destinations are located in Mandalay Region and Shan State, among them Inle Lake, Bagan and the former royal capital of Mandalay. Flying into Mandalay International Airport (MDL) puts you within easy access of these spots. So if your trip leaves off Yangon and focuses on the temples at Bagan and a hike from Bago to Inle Lake, enter via Mandalay International Airport. This is Myanmar's largest airport, built when the Myanmar military government expected international sanctions to ease up in the late 90s (spoiler alert: they didn't). Despite this (or perhaps because of it), Mandalay International Airport is a favorite stop for Southeast Asia low cost airlines flying in from Singapore's Changi Airport and Bangkok's Don Mueang Airport. Getting out to Mandalay from the airport. The 20-mile distance from the airport to the Mandalay city center takes between 50 minutes to over an hour to cross. Fortunately, some hotels will gladly arrange airport transfers for you, and a free shuttle bus to downtown Mandalay is available for AirAsia passengers. Taxis are also available, but you will pay as much as USD 15 for a private taxi to downtown (shared taxis cost USD 5 a head). In through one... out the other! You can do what this writer did: fly in to one, and fly out from the other. Arrange a Myanmar itinerary that starts at Yangon, then hits the other destinations in turn (such as, in my case, bus to Bagan, then fly to Heho to get to Pindaya, then car to Nyaung Shwe and Inle Lake, then bus to Mandalay) before flying out from there. Having two airports on either end of your trip ensures you won't have to double back to any previously-visited point: maximizing your trip, as you move firmly in one direction (whether it's northward or southbound - it's entirely up to you). Bookend your trip with not one, but two Myanmar airports - and you'll get to see more of this amazing country in between!